Brian M. Balke, an Investment Associate with Legacy Trust, has been promoted to Associate Portfolio Manager. Balke will now be responsible for implementing the Legacy Trust investment strategy, and will serve as portfolio manager on select client relationships. He is responsible for performance reporting, third party manager research and monitoring, and provides analysis on current economic and market data. “Brian has continuously sought to expand his knowledge base to better serve our clients on both investment and planning matters,” said Bill Walker, CEO of Legacy Trust. 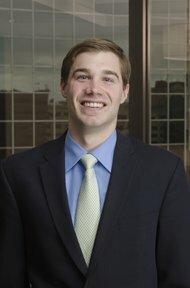 Prior to his current position at Legacy Trust, Balke joined the team as an Operations Associate for one year before being moved to Investment Associate, and in due course was promoted to Associate Portfolio Manager. He began his career in the Speedway Leadership Program, where he focused on management proficiency and user service. 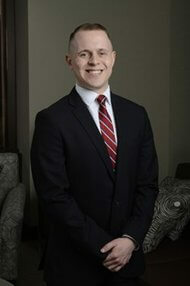 Balke holds a Bachelor of Science degree from University of Dayton in Ohio and is currently pursuing the Certified Financial Planner™ certification. He volunteers his time at Kids’ Food Basket, Family Promise, and is a committee member at the Legacy Trust Award Collection. Hunter E. Lewis, an Investment Analyst with Legacy Trust, has been promoted to Senior Research Analyst and now holds the Chartered Financial Analyst® designation. Lewis is responsible for all fundamental equity research, analysis, and portfolio construction recommendations for the Legacy Trust Core Equity Strategy. Additionally, Lewis assists senior portfolio managers in the development of the firm’s overall investment strategy and trading, while also serving on the internal investment committee. His passion for understanding businesses and competitive forces worldwide allows for substantially better investment decisions to be made within both the Legacy Trust Core Equity Strategy and in the firm’s overall investment strategy. He joined Legacy Trust in 2014 and has previously served as an Investment Analyst. Lewis recently secured CFA® designation, which ensures that an analyst has demonstrated a commitment to the highest standards of professionalism. The CFA® program connects academic theory with current practice and ethical and professional standards to provide a strong foundation of advanced investment analysis and real-world portfolio management skills. Lewis began his career with Merrill Lynch as a Wealth Management Assistant. He later joined GAIN Capital, working in Global Risk Management before joining Legacy Trust as a Research Analyst. Lewis holds a Bachelor of Business Administration degree from Grand Valley State University. He volunteers his time as a Board Director of CFA Society West Michigan.